Superdry men’s 021 joggers. These joggers combine comfort and style, featuring a drawstring adjustable waist, one back pocket and cuffed ankles. 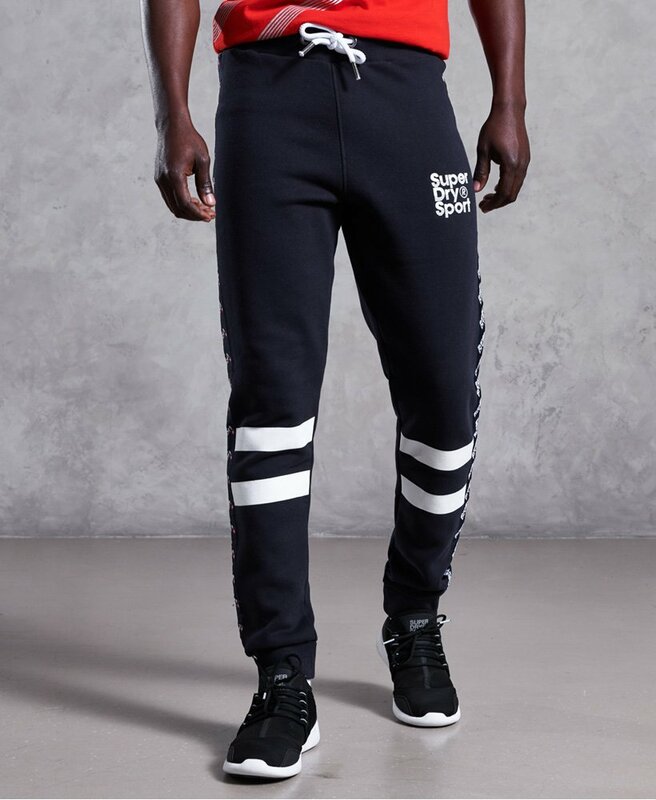 The 021 joggers also feature logo taping down the sides of both legs, stripe detailing on the back, and are finished with a rubberised Superdry Sport logo on the thigh. Wear these with your favourite trainers for a laid back casual look.